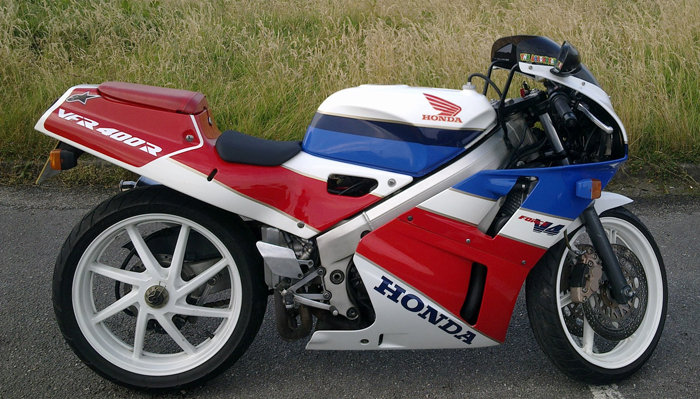 Imported motorcycles aren’t the easiest to insure in the UK. Here we show you how. Imported motorbikes are quite common in the UK and that’s because they’re either desirable or cheap. Chinese models, while often criticised for their performance and reliability, are affordable and that means the import costs can be mitigated by their initial list prices. Similarly, bikes intended for other foreign markets may be exactly what you’re looking for, regardless of expense, so you decide you want it bringing into the UK – like a lot of bikes that are released in the Japanese market (like the stunning VFR400R above). Can I insure an imported motorbike? The bottom line is yes, but your bike needs to be registered in the UK before you can get it insured. Once it’s registered in the UK you can get your imported motorcycle insured however you will need to declare it with your insurer when getting a quote in some cases because it can influence your insurance price. That’s not the case with The Bike Insurer where imported models are included in our model list in our quote process. How can I register an imported motorbike? Registering an imported motorbike in the UK is another simple process but it does require you to fill in quite a lot of documentation. If you’re importing a new imported motorbike then you’ll need to complete a V55/4 form from the Driver and Vehicle Licensing Agency (DVLA). If you’re importing a used imported motorbike into the UK then you’ll need to complete a V55/5 form, again from the DVLA. To complete the forms you’ll need your photocard licence or a piece of identification including your name and an additional piece of documentation confirming your address. What do I need to know about my motorbike to register it in the UK? – A declaration of newness for imported motorcycles that are new. – Documents relating to the vehicle, for example build plans. – A £55 new registration fee. – A European Certificate of Conformity or certificate of Mutual Recognition if your imported motorbike is European. – An Individual Vehicle Approval (IVA) certificate if your vehicle is non-European. 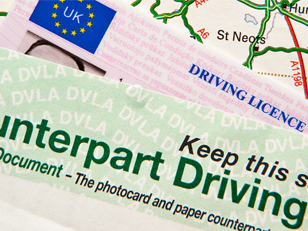 NB: If you’re importing a vehicle into the UK that is more than 10 years old, you need to inform the DVLA beforehand. The 10-year date is based on its date of manufacturer or first ever registration. Within 14 days of your vehicle arriving in the UK you will need to complete a Notification of Vehicle Arrivals (NOVA) for the benefit of HM Revenue and Customs (HMRC). This form will determine how much VAT and duty you will need to pay to bring your imported motorbike into the UK. Once you’ve got all that sorted you can go ahead and insure your imported bike!